Go to Google Maps and click on Menu bar on top left corner. 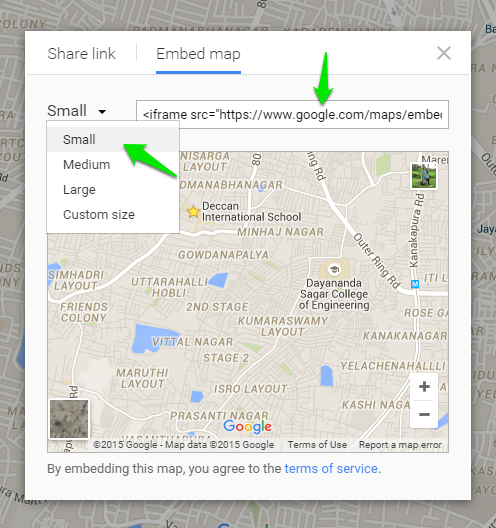 Go to Share or Embed map option. Go to Embed Map Tab. Select from the drop down, the size of the map which you wish to display on your site. Copy the respective embed code displayed next to it. Login to Learnyst as Admin and go to Website builder. In website builder you can add your custom code by adding a custom code section to your landing page from the left panel To do the same follow the below steps. Replace the existing custom code with your google maps embed code and click on Save.